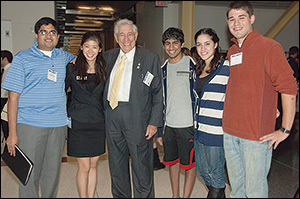 Department benefactor Dr. Robert E. Fischell (M.S. 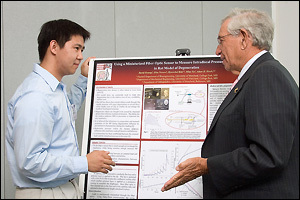 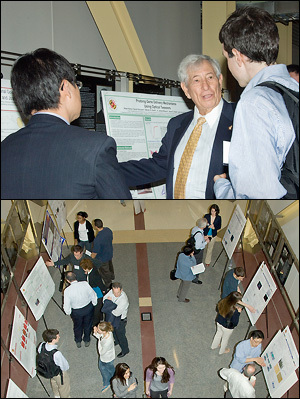 '53, right) talks to students during the Festival's research poster session. 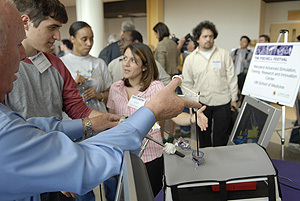 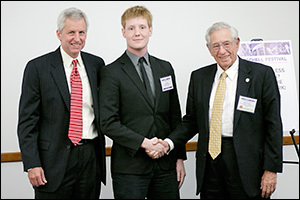 On April 10-11, 2008, the Fischell Department of Bioengineering held its second annual Fischell Festival. 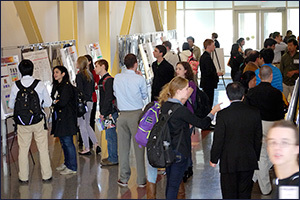 The event offered seminars on entrepreneurship and biomedical imaging delivered by a variety of distinguished guests, streamcast a live medical procedure in which attendees could interact with staff at the University of Maryland School of Medicine, hosted a bioengineering career fair, and featured a student research poster session. 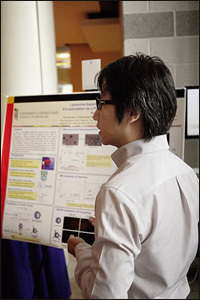 Attendees were also introduced to the Department's newest Fischell Fellow, Graduate Program in Bioengineering student Marc Dandin. 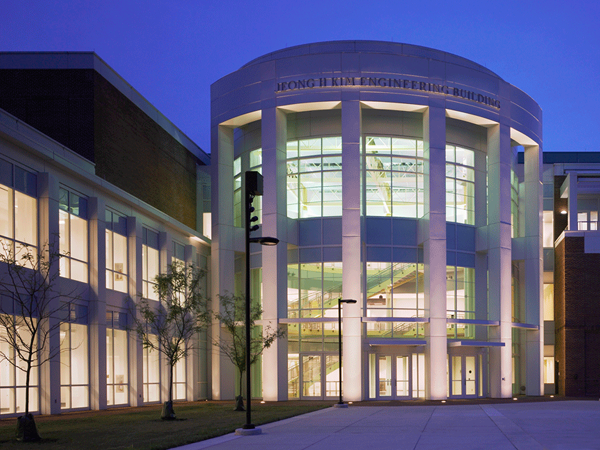 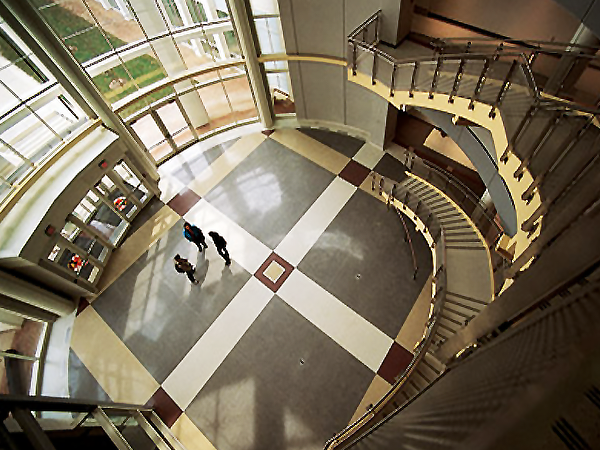 The highlight of the Festival was the formal dedication of the new 7,400 ft2 bioengineering wing added to The Jeong H. Kim Engineering Building, in a ceremony presided over by the Fischell Family, Clark School interim dean Herb Rabin, UMD Provost and former Clark School dean Nariman Farvardin, and professor and Chair William Bentley. 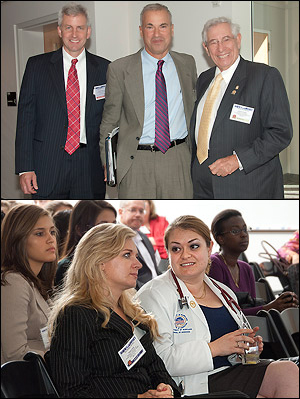 For complete details and pictures, please visit the Fischell Festival web site.